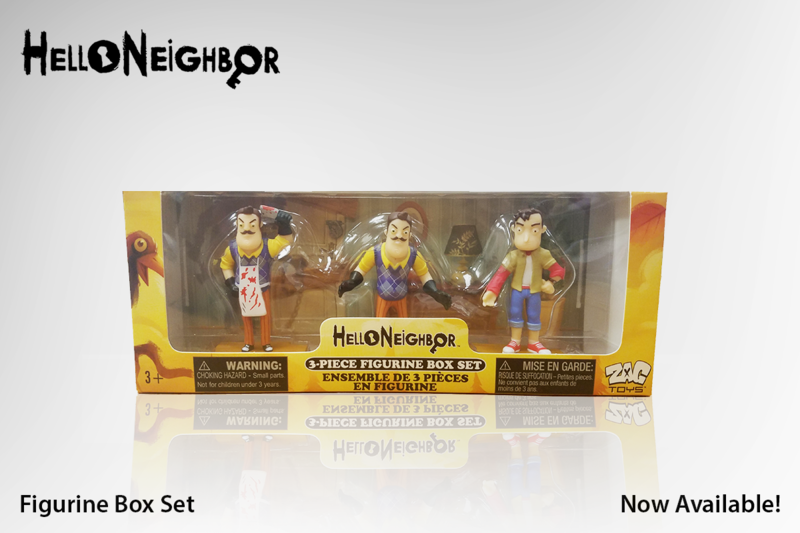 Zag Toys, a prominent leader in the collectible toy business; today announced the wide release of their highly-anticipated Hello Neighbor product line. After a successful debut at select GameStop stores to coincide with the retail release of the game, these hot collectibles are now available at Walmart, Target and GameStop stores nationwide. 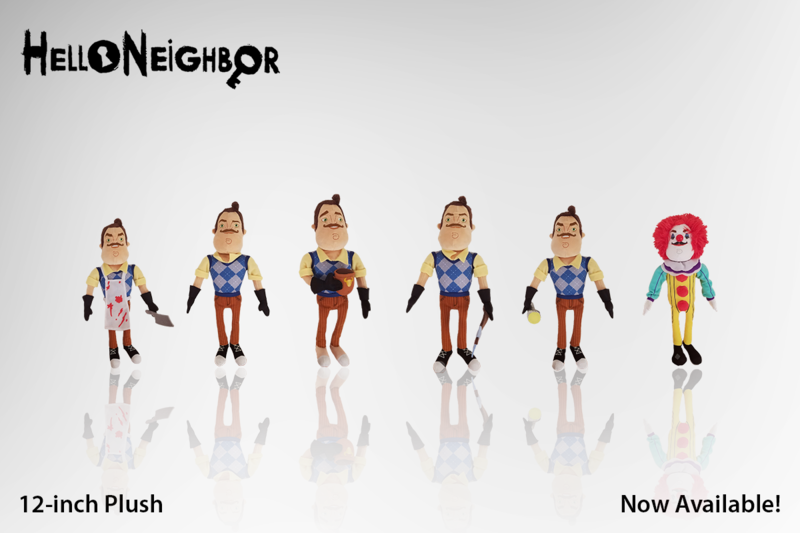 Hello Neighbor is a groundbreaking new stealth horror video game in which players must uncover the sinister secrets lurking within their new neighbor’s home. With adaptive AI that learns from the player’s choices, the neighbor develops counter-actions and traps creating an atmosphere of tension and menace and making each subsequent attempt to break in more challenging. The game has sold over 500K units and has garnered upwards of 1B views on YouTube! Fans of the hit game, currently available on Steam & Xbox, and coming soon to the Nintendo Switch and PS4, can collect a wide assortment of licensed product from Zag Toys, including a series of backpack clips, plush and a 3-piece figurine box set. 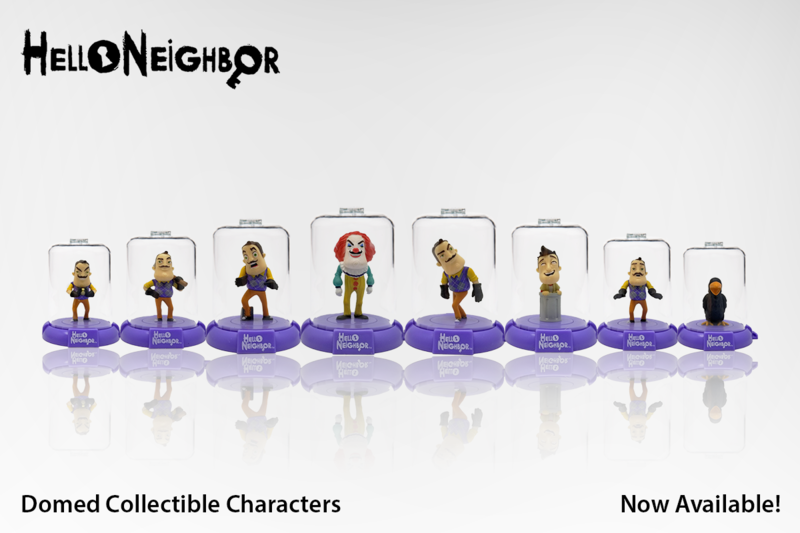 Hello Neighbor Domez, stylized mini-figurines in their own stackable, connectible display bases, are also available. 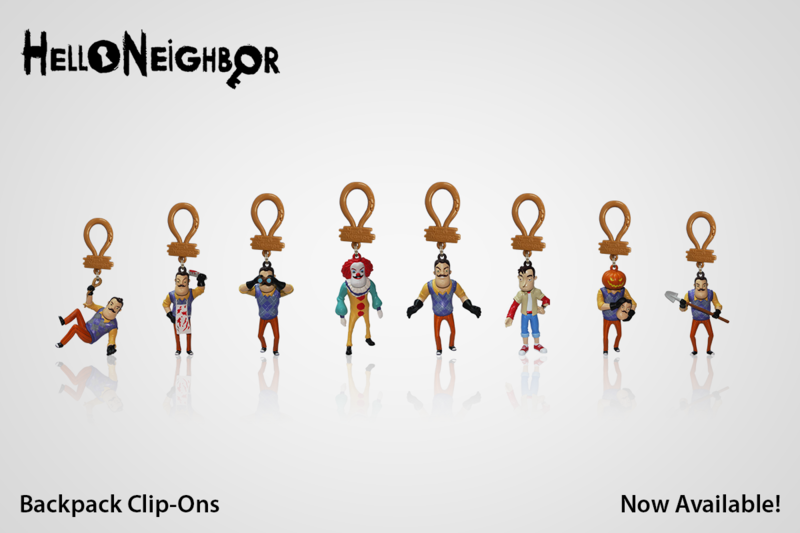 The agreement was brokered by Evolution USA, the global licensing agent for Hello Neighbor. tinyBuild is a Seattle-based indie label that started when two guys made an indie game called No Time to Explain. Since 2011, the studio expanded into helping talented developers bring their games to Xbox, and since then brought you hits like Party Hard, Clustertruck, and SpeedRunners. Dynamic Pixels is a Russian game development studio that previously did casual games and outsourcing work. 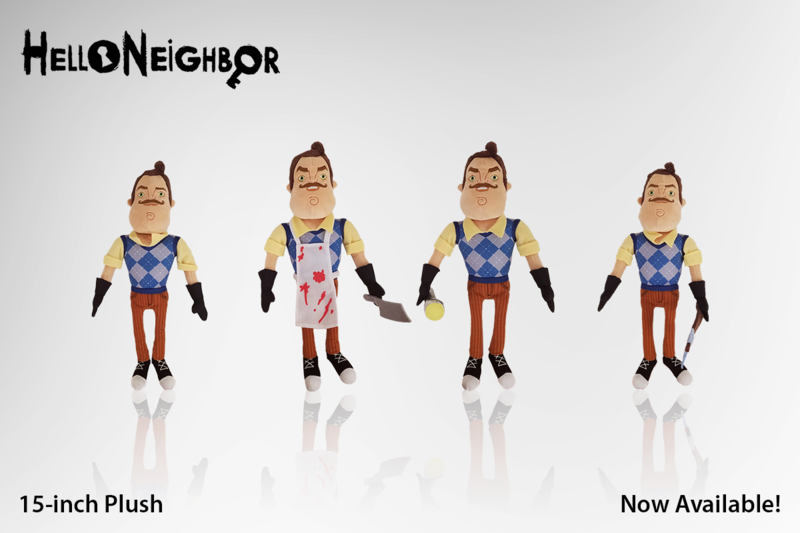 After finishing up working on a Cut The Rope project, they had an idea about a Stealth Horror Game called Hello Neighbor. Since then, they've partnered up with tinyBuild to bring it to PC and Consoles. Zag Toys is a leading consumer product and licensing company specializing in the design, sourcing and distribution of innovative collectibles based on trending pop-culture and gaming brands. Headquartered in Orangeburg, NY, Zag Toys produces vinyl and mini action figures, plush and other collectibles for top retail channels. Zag Toys is a division of Zagwear, a global leader in product-based marketing with turnkey sourcing and supply chain capabilities. With a broad portfolio of the hottest licenses and world-class in-house brands, Zag Toys connects consumers with collectible products as a leader in the $15 billion licensed collectible products business. Connect with Zag Toys on Facebook, or follow it on Twitter & Instagram @ZagToys for all the latest news and announcements.